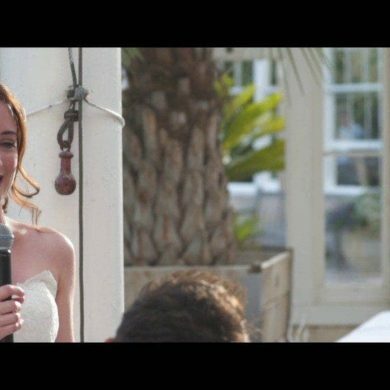 Oasis Events is a family-run specialist hire company, offering a truly personal service for every occasion. 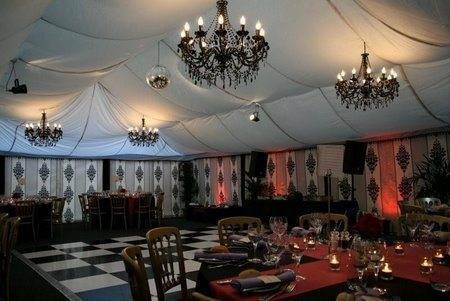 We have a ‘can-do’ attitude to the transformation of any space from marquees to warehouses, nightclubs or village halls. 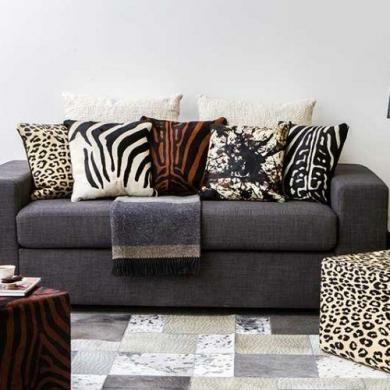 We can offer a variety of unique structures, linings to suit all tastes and venues, chill out furniture, accessories, as well as bespoke service creating specific lining designs and drapery. 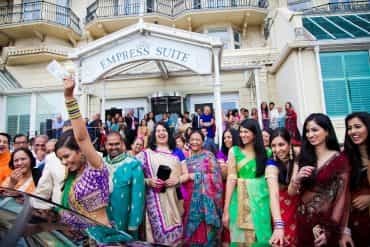 5 Star Weddings: What does Oasis Events specialise in? 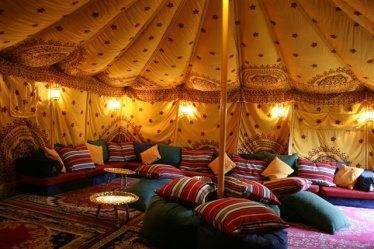 We were originally known for genuine Bedouin Tents, for Glamorous Camping on wedding nights or for wedding guests. More lately we also specialise in Boutique Tents which have a choice of fabulous linings, unique lighting, and chill out furniture. 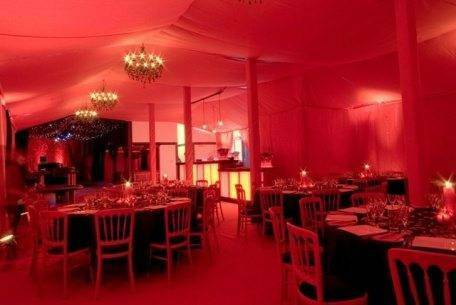 Our range of interior looks is also installed inside any marquee or venue, and caters for every taste from Saffron for an Eastern flavour, to Rococo, our contemporary baroque-inspired look, Circus, creating the inside of a Big Top, Jasmine the perfect dreamy background for an English Country Wedding, or Scarlet for those wanting a red hot Moulin Rouge look. 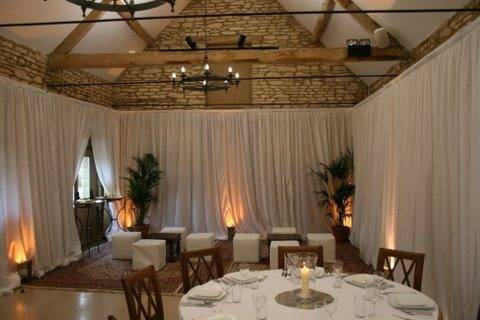 Finally our self supporting wall drapes are the solution for elegant draping in venues with difficult areas to dress. 5 Star Weddings: Can you give us some examples of the sorts of places you work in? Oasis Events: We work on weddings, parties, festivals, corporate events in venues ranging from ExCel to Blenheim Palace, and film sets; our tents featured in the Forsythe Saga for ITV and this summer in the Young Apprentice for the BBC. We have created Oasis installations at Claridges, The Berkeley and the Dorchester, as well as other venues such as Henley Royal Regatta and Goodwood. 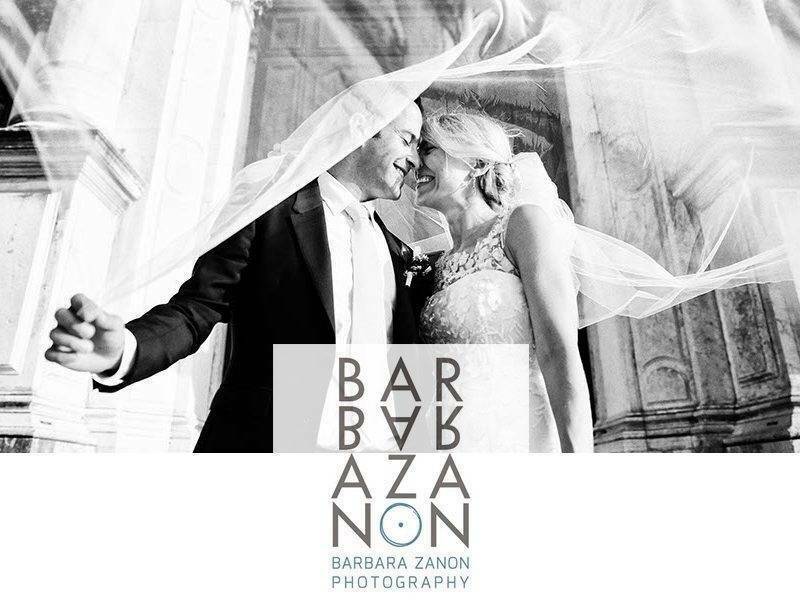 Amongst our more unusual venues we team have transformed a tractor barn into a cosy Kasbah wedding, the arches underneath London Bridge Station, a marquee on a roof top with a view of the “Gherkin”…. a wedding marquee on a windy Cornwall cliff top in February and muddy festivals in summer. 5 Star Weddings: Who is a typical Oasis client? Oasis Events: I am not sure that we have a ‘typical’ client having worked in village halls for small celebrations to corporate events for over 600 people. 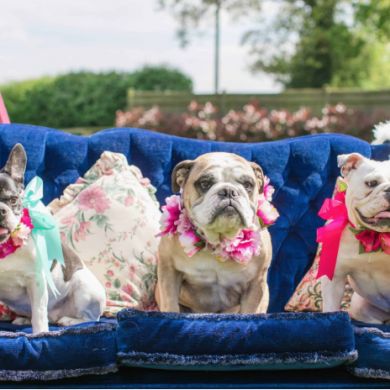 Generally I would say our typical client is a bride or person wanting a totally amazing and unusual look, looking to us to transform the an ordinary venue into an extraordinary one. 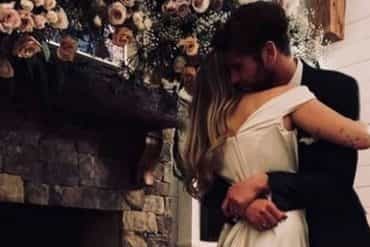 5 Star Weddings: What has been your most popular look? Oasis Events: Oasis Saffron, our first lining, originally lit and furnished for the Bedouin tent is certainly our most unique and striking ,and has been our most popular look for both weddings and parties. 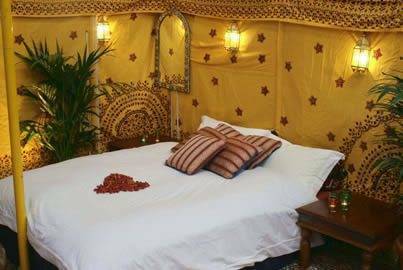 Our clients often don’t tell their guests they have created a Kasbah or chill our tent and enjoy the “WOW!” factor when their guests arrive. It’s also used for an Oriental twist or just as a warm colourful background to a more conventional wedding with anything from countryside to Christmas styling. Despite it’s string colour palette it’s more flexible than you might imagine and has been consistently popular since Oasis launched 16 years ago. 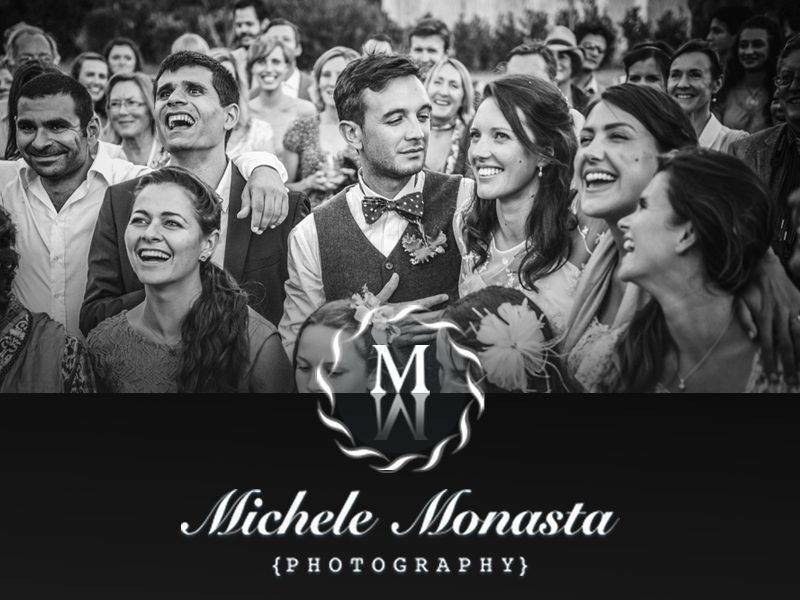 5 Star Weddings: What is most unusual setting you have created? Oasis Events: We were part of the team to create Narnia in the Old Passenger Shed in Bristol in 2011, which we turned into a Circus and a Dickensian Christmas setting in previous years so it’s been a great, experimental venue for us in past years. It will become a prohibition-style “Great Gatsby” setting for December 2012. 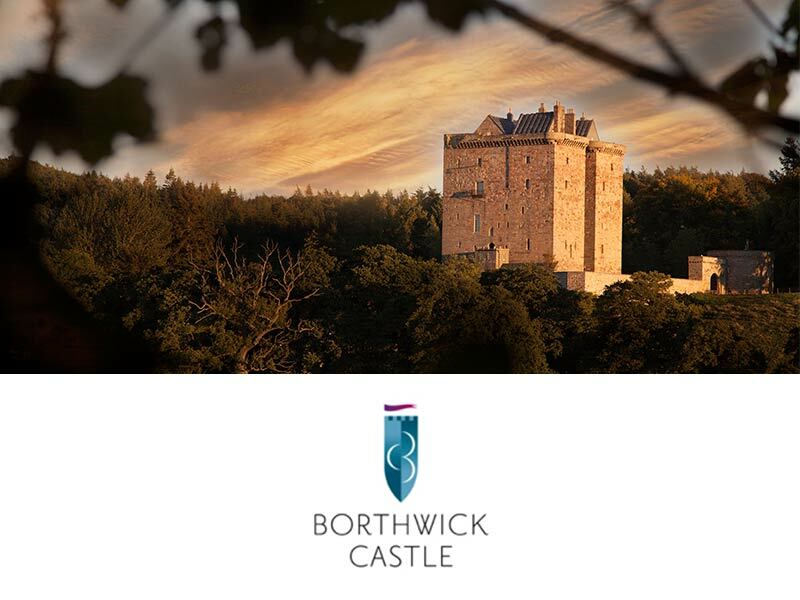 December will bring another first for us as we transform an entire National Trust property into “Balthazar’s Palace” for a month-long exhibition. Our wedding transformations come close to the top of the “most unusual” list because we pride ourselves on helping to use existing spaces – be it village halls to tractor barns – to create romantic and surprising settings for a handful to hundreds of wedding guests and the reaction of the bride when she walks in to see the finished product is always memorable. 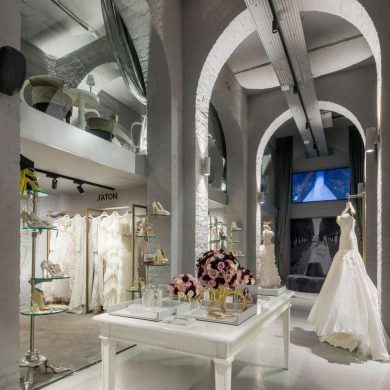 5 Star Weddings: Can you custom make a particular design? 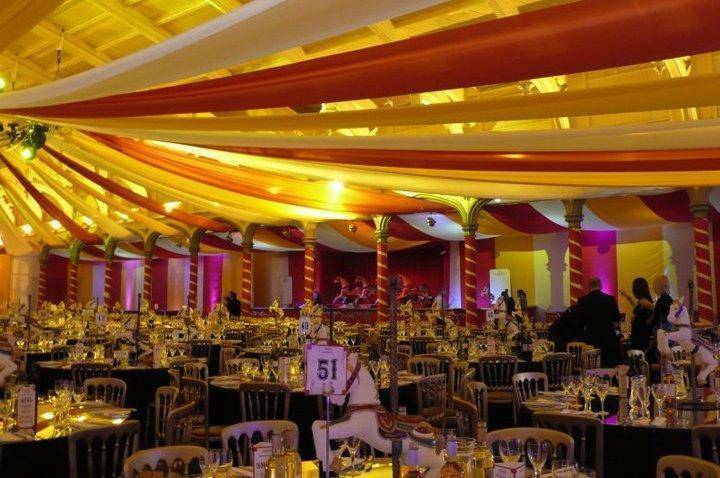 Oasis Events: For a more tailored look, we design full ceiling and wall linings for marquees or venues to a specification. Whether you have a single colour in mind or detailed print we work closely with you to create the bespoke lining. Our most popular was commissioned as a Brunel-inspired wallpaper of plum and gold tracery for the feel of a bygone era. This is now one of our standard linings and popular at winter weddings. 5 Star Weddings: Do you provide all the furniture and props to create the whole ambience? 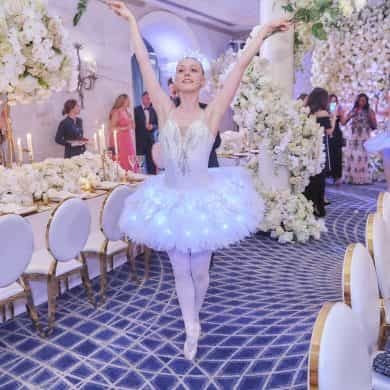 5 Star Weddings: What is the most enjoyable thing about your job? Oasis Events: Without doubt it’s the happy clients. 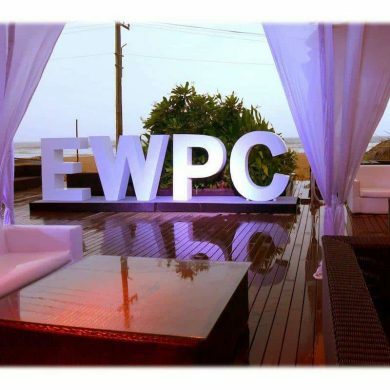 They come to us hopeful for something unique to fulfil a dream they have of their event and we take great pride in responding within budget and with the fullest possible quote to show how we can make it all a reality. 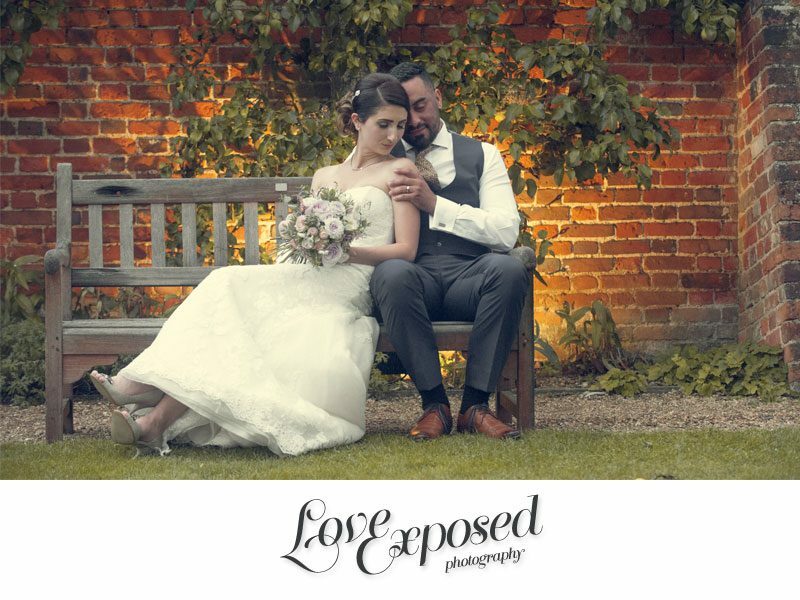 We develop great relationships with our brides and all their other suppliers on the way to ensure a seamless and perfectly installed setting which delights our customers, their families and friends. 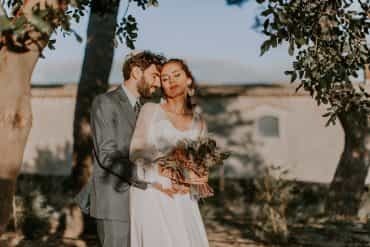 5 Star Weddings: What are your top tips for planning a wedding? 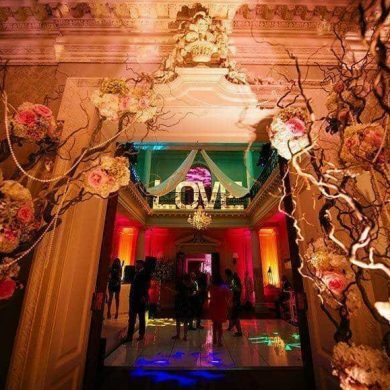 Oasis Events: Tell your suppliers as much as you can think of: when quoting we ask lots of questions to try and help the client ensure nothing is and to help us suggest clever space-saving layouts or people flows. We can be more helpful if we know the full picture, and potentially help save money too. 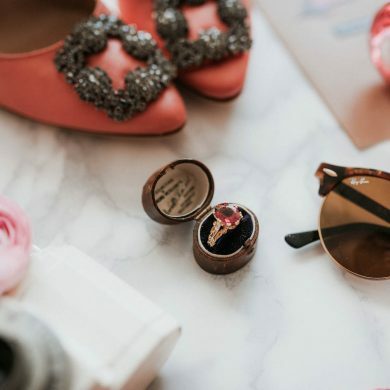 Don’t be afraid to try something new: wedding settings can easily seem formulaic so try an unusual theme, look or just a colour or style accent to make yours unique to you, stand out and be memorable. Recommendations matter: we have a wealth of testimonials built up over nearly two decades; word of mouth and personal recommendation really work wonders in our industry and can be relied upon. Talk to friends and family, those who have got married recently and get recommendations. Companies don’t last long if they don’t look after people!